Editorials Are Smartphone Makers Putting All Their Efforts In ‘Selfies’? ‘Selfie’ and ‘Smartphone‘, these two words often come one after another when we talk about any phones these days; as the days of those candy bar phones and flip phones are gone, neither anyone would like to use them these days, and as the smartphone market is growing at quite a good speed, we see different trends and selfie is definitely one of the factors that smartphone manufacturers are putting a lot of efforts in, but seriously, why? Why is selfie so important now? Before we find that out, let’s take a look at the history of selfie smartphones and will move on to what’s the scenario right now and what is to be expected in future. A quick question first – ‘Do you know which was the first smartphone with a front-facing camera’? Or let’s say which is the first selfie smartphone? Well, to know the answer, we have to travel back to 2003. The first selfie smartphones were launched by Sony & Motorola and the models were Sony Ericsson Z1010 and Motorola A835 which got a front-facing camera that let users video call. This was a pretty big deal considering that MMS [Multimedia Messaging Service] was still alive and it couldn’t happen real-time. But, the term ‘Selfie’ was invented a year back, in 2002 by an Australian guy nicknamed ‘Hopey’ who posted this online. 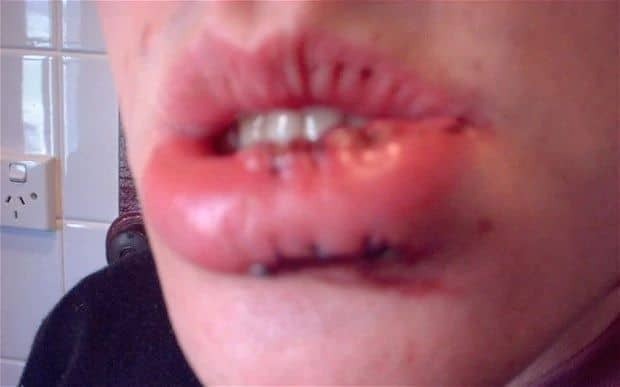 “Um, drunk at a mates 21st, I tripped ofer [sic] and landed lip first (with front teeth coming a very close second) on a set of steps,” said the posting. 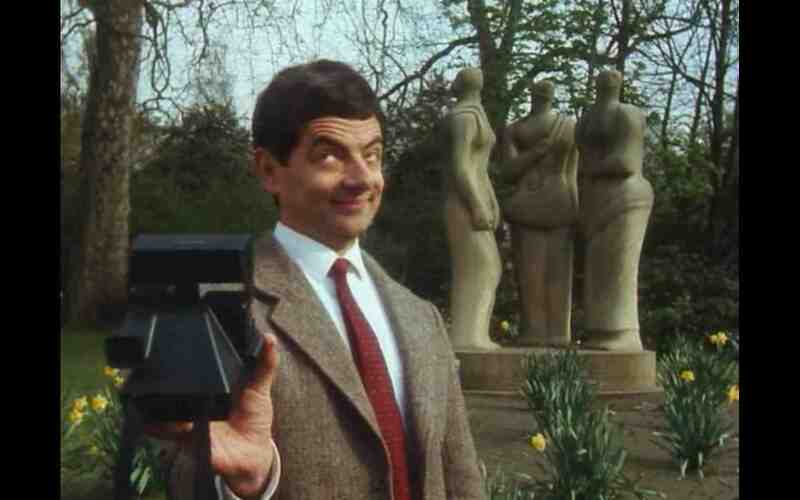 So, basically, he just termed a portrait taken by himself as ‘Selfie’, but well taking own portraits isn’t new, we have seen Mr. Bean doing this back in the 90s’. Since that incident, there were several other incidents took place where one guy shot himself and the American Psychiatric Association treats selfies as a disorder, but nothing is stopping the selfie-obsessed people who’re going gaga over it which literally made the term ‘selfie’ to be officially added to the Oxford Dictionary in 2013. From then, we have seen people taking selfies with their phone, using the front camera, rather than using a mirror or pointing the phone’s rear camera precisely to take a perfect shot of themselves (A friend of mine is genius at that), but probably the first selfie centric phone I ever got to try was the ASUS Zenfone Selfie, which was launched back in August 2015, and I was kinda impressed with the fact that the phone had 13MP sensors on both front and back, with Dual LED flash on the front as well. The phone had 88-degree wide-angle lens to capture wide-angle selfies and it also had a panorama mode which let you capture 140 degree wide selfies, so that you don’t miss anyone in the group. 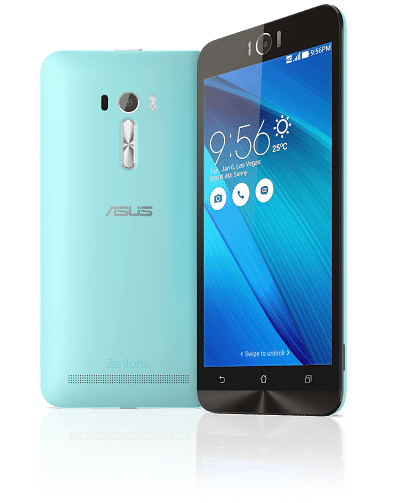 The ASUS Zenfone Selfie was one of the first smartphones launched in India whose USP was selfies, and of course, the company dedicated this to selfie loves, as ASUS might have found out that there are many people who are just about selfies. But they didn’t bottleneck processors and RAM and other hardware aspects much, as it came with a decent Snapdragon 615 and 2GB of RAM, and it came with quite a decent specs sheet. 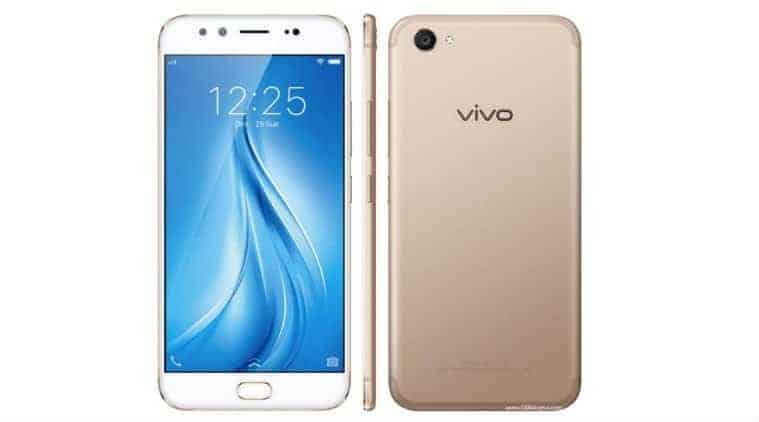 But, as Oppo and Vivo, the two new smartphone makers entered India, they quickly analyzed that the selfie craze is building up with a nice pace and they decided to take a step to focus on one type of users only, and bring out products and do marketing in the same way that targets that audience, and the ‘New Selfie Era of India’ started. Since some brands like Oppo, Gionne, Infocus, Honor, Vivo entered the Indian market, the selfie trend had reached its peak. While Honor always kept focused on a balanced smartphone with a good amount of raw power, along with a great camera and picked the consumers really fast who needed a phone for taking beautiful shots, others chose to go with the selfie craze, and it exploded. Selfie phones like Oppo F3, F5, Vivo V5, Vivo V7+ Zenfone Live, Zenfone 4 Selfie Series crowded the market, and looking at the trend, even Xiaomi couldn’t keep calm and introduced the Redmi Y Series, which targetted the youth of the nation and just at almost the same time, Honor came up with the Honor 9i, which could add bokeh to portraits as well as selfies as it had dual cameras on both front and rear. 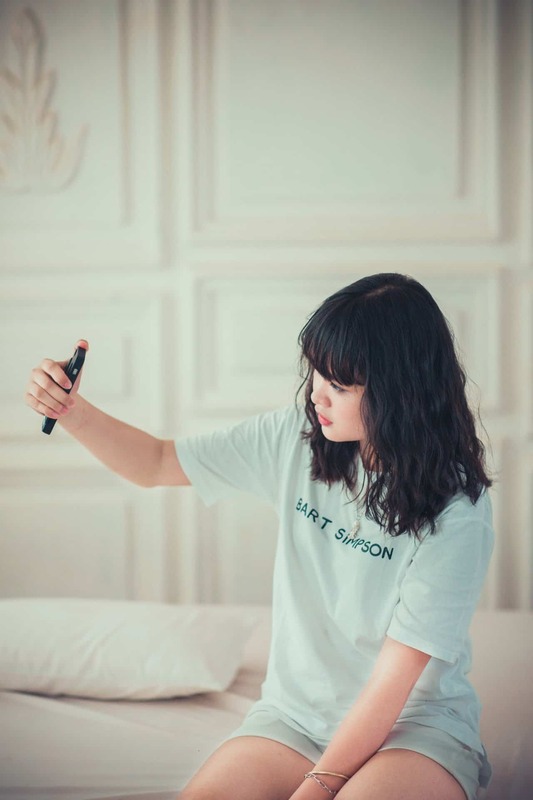 As of now, brands like Oppo and Vivo are marketing their phones heavily with the sword of selfie which will convince many users to grab a phone from their vast catalogue, but they are also improving beautification and other features using AI, which will recognize the face patterns and make changes accordingly and real-time beautification during live streams. 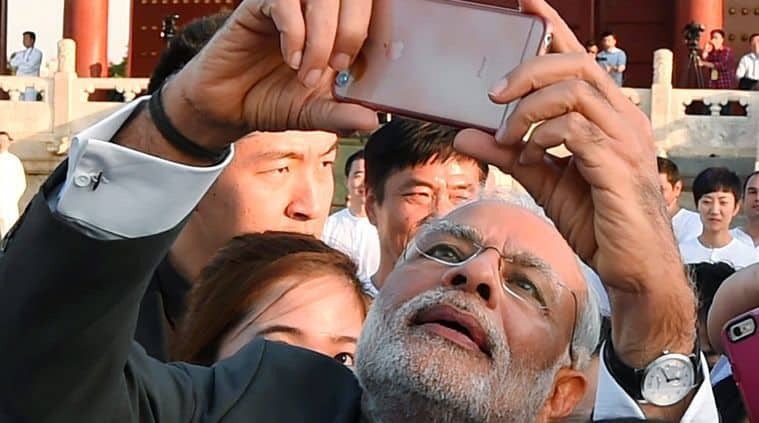 Also, the selfie trend doesn’t seem to stop at all, as even the Prime Minister of India who’s better known to be a fan of ‘selfies’ has been seen taking selfies on many occasions, as he’s always tech-savvy and ready to flow with the trend. So, what’s next in the selfie era? A smart front camera that will capture burst selfies and pick the best smile hiding a pimple or a warning that a phone will give you while you try to take a dangerous selfie risking your life? Who knows? And I mention those two things for a reason, here’s why! We just saw a hashtag trending on Twitter a while ago- #CaptureTheRealYou. This hashtag was promoted by Oppo India, through paid Twitter ads and tweets from individuals. While the hashtag was linked to the Oppo F5 which was another selfie-centric smartphone from the brand, but the features they talk about doesn’t match at all with what the message or tagline they put and that’s because they talk a lot about how the AI removes blemishes and make your skin smoother! So, are we moving towards a selfie approach where people would like to hide pimples or any kind of marks on the skin to look flawless, I guess that doesn’t get digested with the hashtag #CaptureTheRealYou. Skin smoothening is something which goes way far for many people, as their eyebrows disappear, the nose seems to be flat as it lacks depth due to the beautification and you must have seen some selfies like that. Taking selfie is nowadays a proof, that people produce to show that they visited a particular place or did a dangerous task, but just have a look at this list on Wikipedia and you will know the price of taking a selfie under harsh weather conditions, rough terrains, high buildings and mountains as the list provides some of the incidents that led to injury or death while taking selfies. 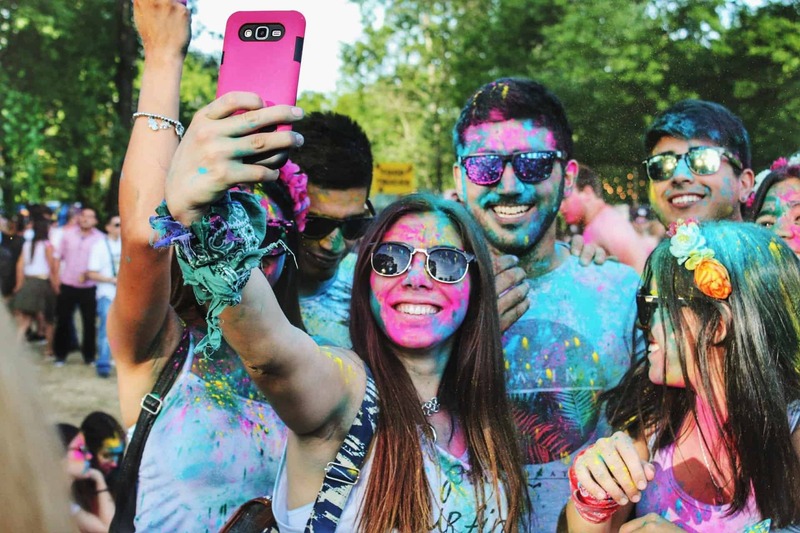 The Independent reported that India has the highest selfie-related deaths in the whole world. Bottlenecked devices, made for only selfie lovers? Most of the selfie-centric phones have bottlenecked hardware for sure, just for the sake of selfies the brands often compromise a lot in terms of chipset, RAM, GPU which affects the performance of the phone up to an extent. The recent Vivo V7+ is the best example as it took the selfie camera too far. This doesn’t impact users who just take a lot of selfies, make some phone calls and use Facebook, but they face a lot of issues like lags while multitasking, heating issues and poor performance while playing games. Still, some people fail to understand the issue. There is absolutely no problem with any brand as every brand will make devices according to their target audience, but the problem is with the consumers, who would buy these phones expecting that as the phone will take great selfies, it will also be good in all other aspects as well, and later they regret buying the phone. There is another strange issue that I faced with Oppo devices – For some strange reasons, they don’t allow users to use a custom launcher, whereas the Android ecosystem has been always supporting installation and usage of custom launchers. Many people love Nova, which is arguably the best launcher available right now for Android, and not just users having phones with custom skins use them, even me, a Motorola user (Motorola runs Stock Android with just some custom Moto apps), uses Nova for the fluid and highly customizable experience. So, whatever the future is up to, it’s the consumer who has the change! Previous articlePalm Drone: A New Ultra-affordable Pocket-Sized Drone is about to make its entry! Next articlePlico – A Foldable Commuter Bike Helmet That fits Right in your Bag!